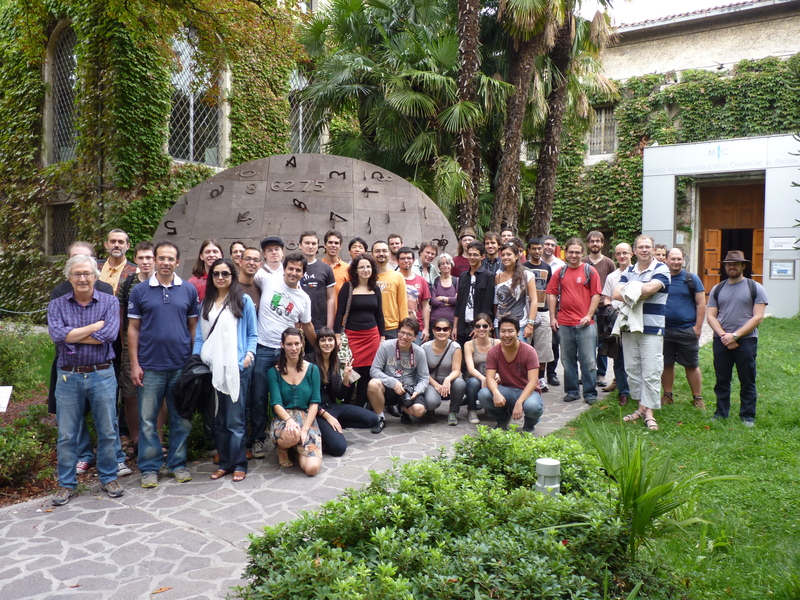 ENUMEX is the first event organised by the Inria AMICI International Partnership. The goal of ENUMEX is to focus on enumeration algorithms and exact methods for exponential problems with a particular focus on computational biology. The School is addressed to young researchers at the PhD student or postdoc level, but may, depending on space, greet other interested listeners. The scope of ENUMEX is international. 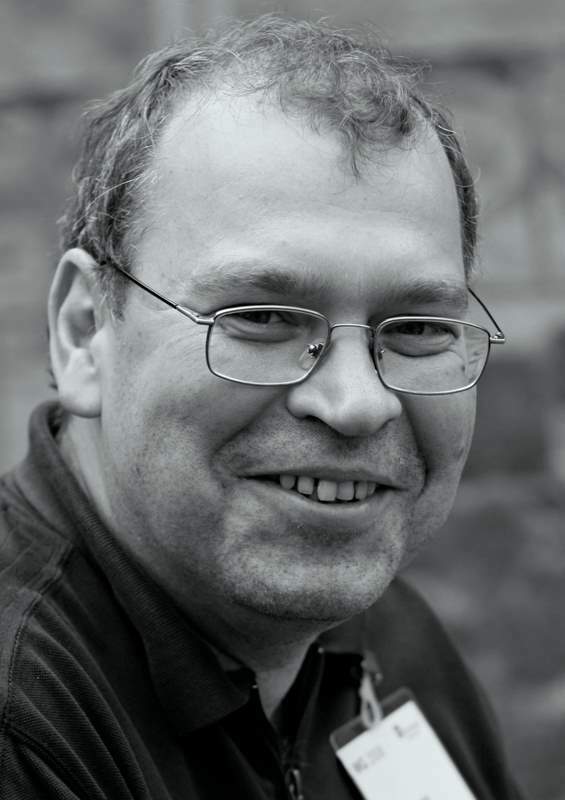 Martin Dyer, School of Computing, University of Leeds, UK. Prof. Dr. Martin E. Dyer is from the Computer Science Department of the University of Leeds. He has published over a 100 papers, the majority of them as publication in top-journals in the field or as contribution to proceedings of the most prestigious, highly selective, conferences in the field. Since over 20 years his main research topic is the study of rapidly mixing Markov Chains in relation to approximate counting. In 1991 he won the Fulkerson Prize of the Mathematical Programming Society for his work on computing the volume of convex bodies, essentially a counting problem. The approach is Markov Chain Monte Carlo simulation. The breakthrough was a polynomial bound on the convergence time of this Markov Chain. Since then he has become one of the authorities in this field of approximate counting and approximate uniform random generation. Khaled Elbassioni, Masdar Institute of Science and Technology, Masdar City in Abu Dhabi, United Arab Emirates. Khaled Elbassioni is since 2012 an associate professor at Masdar Institute of Science and Technology. He was at the time of the ENUMEX School a senior researcher at Max-Planck Institute for Informatics (from 2006 to 2012). He received B.Sc. and M.Sc. degrees in Computer Science from Alexandria University, Egypt in 1992 and 1995, respectively, and a Ph.D. degree in Computer Science from Rutgers University, USA, in 2002. His main interests are in Theoretical Computer Science, in particular, in the complexity of enumeration problems, approximation algorithms, and game theory. Fedor Fomin, Department of Informatics, University of Bergen, Norway. Fedor received his Master (1992) and PhD (1997) degrees from the Faculty of Mathematics and Mechanics, St. Petersburg State University, supervised by Prof. Nikolay Petrov. 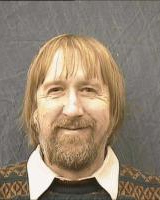 He was an assistant professor at St. Petersburg State University (chair of Operations Research) till 1999. He was a postdoc in Chile (CMM and Universidad de Chile), in Czech Republic (ITI and Charles University), and in Germany (University of Paderborn). Since 2002, he is a professor in Algorithms, at the Department of Informatics, University of Bergen. In 2004 he received Young Investigator Award (YFF) from Norwegian Research Council and in 2010 Advanced Grant from European Research Council. His current research interests are mainly in Algorithms and Combinatorics: Parameterized Complexity; Algorithms, and Kernelization; Exact (exponential time) Algorithms; Graph Algorithms and, in particular, Algorithmic Graph Minors; Graph Coloring and different modifications; Graph widths parameters (treewidth, branchwidth, clique-width, etc. ); Pursuit-evasion and Search problems. Takeaki Uno, National Institute of Informatics, Tokyo, Japan. Takeaki Uno received the Ph.D. degree from Department of Systems Science, Tokyo Institute of Technology Japan, 1998. He was an assistant professor in Department of Industrial and Management Science in Tokyo Institute of Technology from 1998 to 2001, and has been an associate professor of National Institute of Informatics Japan, from 2001. His research topic is discrete algorithms, especially enumeration algorithms, algorithms on graph classes, and data mining algorithms. On the theoretical part, he studies low degree polynomial time algorithms, and hardness proofs. In the application area, he works on the paradigm of constructing practically efficient algorithms for large scale data that are data oriented and theoretically supported. In an international frequent patterm mining competition in 2004 he won the best implementation award. He got Young Scientists’Prize, of The Commendation for Science and Technology in Japan, in 2010. The all-inclusive registration fee for the event is euro 700 for accomodation in a single room and 590 for accomodation in a double room. These fees cover all local expenses, including meals, coffee breaks and accomodation for 5 nights. Accomodation is provided either in the Bertinoro Castle or in close hotels. Registration to the school is now closed. ENUMEX is partially funded by the ERC AdG SISYPHE. BiCi events are held in the University Residential Center located in the small medieval hilltop town of Bertinoro. This town is in Emilia Romagna about 50km east of Bologna at an elevation of 230m above sea level. Bertinoro is easily reached by train and taxi from Bologna and is close to many splendid Italian locations such as Ravenna, Rimini on the Adriatic coast, and the Republic of San Marino (all within 35km) as well as some less well-known locations like the thermal springs of Fratta Terme, the Pieve di San Donato in Polenta and the castle and monastic gardens of Monte Maggio. Bertinoro can also be a base for visiting some of the better-known Italian locations such as Padua, Ferrara, Vicenza, Venice, Florence and Siena. Bertinoro itself is picturesque, with many narrow streets and walkways winding around the central peak. Meetings are held in an archiepiscopal castle that has been converted by the University of Bologna into a modern conference center with computing facilities and Internet access. From the castle you can enjoy a beautiful vista that stretches from the Tuscan Apennines to the Adriatic coast and the Alps over the Po Valley. The University Residential Center is located at Via Frangipane, 6 in Bertinoro (Telephone: +39 0543 446500, Fax: +39 0543 446599). 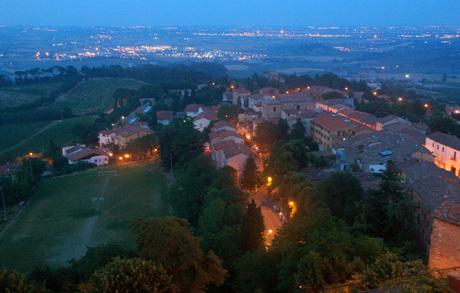 Bertinoro lies approximately half-way between Bologna and the Adriatic coast town of Rimini. Here is a Google Earth place mark to locate the BiCi complex in Bertinoro. If you are arriving by car, you can obtain driving instructions from most starting points using Google Maps. For those flying in, the nearest major airport is the Bologna Guglielmo Marconi International Airport (BLQ) which has good connectivity to many major European locations. You may also want to check for flights to the Rimini (RMI) Federico Fellini Airport, reachable from several European cities via low cost companies. Another possibility, especially for those arriving from North America, is to arrive at one of the two Milan airports (which have direct flights from a number North American cities) then proceed to the Milan Central Train Station, take a train to Forlì, and from there continue by taxi to Bertinoro. Train schedules can be found here. If you arrive at Rimini Airport, you should take a train (direction Bologna or Milan), get off at Cesena (about a 20-minute trip), and then take a taxi to Bertinoro. If you arrive at Forlì airport, probably the easiest option for reaching Bertinoro is to hire a taxi. If you arrive at Bologna airport or train station, proceed as indicated below. This is going to cost you about 140 EURO, including highway tolls, but it becomes an affordable option if you share it with a group of 3-4 people. For more detailed information, consult or call CoTaBo Taxi. Special “Aerobus” service. The bus runs from 06.00 to 23.35 and makes only 5 stops in the city, the last one being the train station (“Stazione FS”). Tickets may be purchased on board (4,50 EURO). The trip takes around 25 minutes. Between the hours 08.00 and 20.00, the frequency of the bus is approximately once every 15 minutes. Taxi. The trip takes around 15 minutes (barring traffic jams) and should cost less than 20 EURO. Numerous trains run between Bologna and Forlì. The trip takes 30-45 minutes depending on the train type. Please make sure that you get off at Forlì station and not Forlimpopoli (which is indeed closer to Bertinoro but has no bus service for continuing your trip). For complete train departure times and further information, please consult the Italian Railways web site. The simplest way to reach Bertinoro from Forlì is to take a bus. The bus station (located in “via Oriani”) is about 200 mt. from the train station. Buses run from 07.10 (09.10 on Sundays) to 19.35 (19.10 on Sundays). The trip takes around 25 minutes. 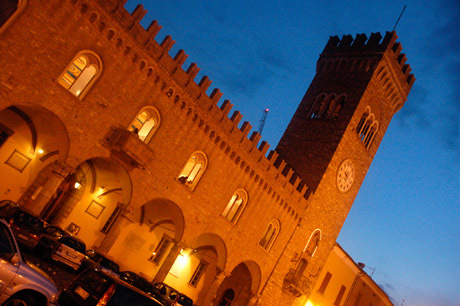 Another option for reaching Bertinoro from the Forlì train station is to take a taxi. The trip should cost around 20 EURO. to a hotel. You may book on-line in one of the hotels in the city center.